Common cuttlefish seen from shore diving off Babbacombe beach. Cuttlefish come in to breed in the shallows each April/May. 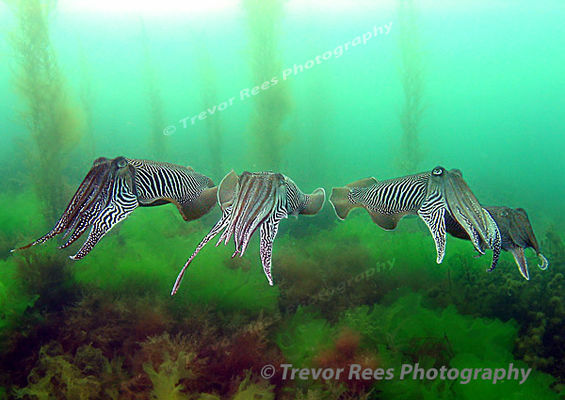 This row of cuttlefish has been displayed in a number of competitions and printed as a double page spread in Dive magazine.